It’s a common cliché that people often travel the world before they travel their own country. Yes, there’s a whole world out there to explore, but think of all the amazing places in our own country you’ve never visited. These are the iconic images ingrained in every American’s mind, the places, signs, and monuments that represent the best of what America is all about. Well, if you’re based in the US, here are a few locations that you simply must visit around adventuring internationally. With fields of tulips of every color, your photos would make people believe you spent the spring in the Netherlands. These beautiful fields host millions of tulips and during the month of April visitors can take a driving tour to see these incredible flowers. Home to a huge, dormant volcano, this national park is an incredible feat of nature. After a short drive up the volcano, you can huddle up in the observatory (bring a sweater – it gets cold up there.) and watch the sunset. The views of the island are unbeatable. Sometimes it can get busy up top, so when you want to see the sun rise, you may need to make a reservation to save your spot. You can make a reservation up to 60 days in advance. This somewhat secret natural pool is a popular spot for locals around Austin. It sports vibrant green waters and a serene waterfall. It is also partially covered by land as it existed as an underground river before the top collapsed. With such astounding coloring and secluded location, the pool is not to be missed on a trip through Texas. 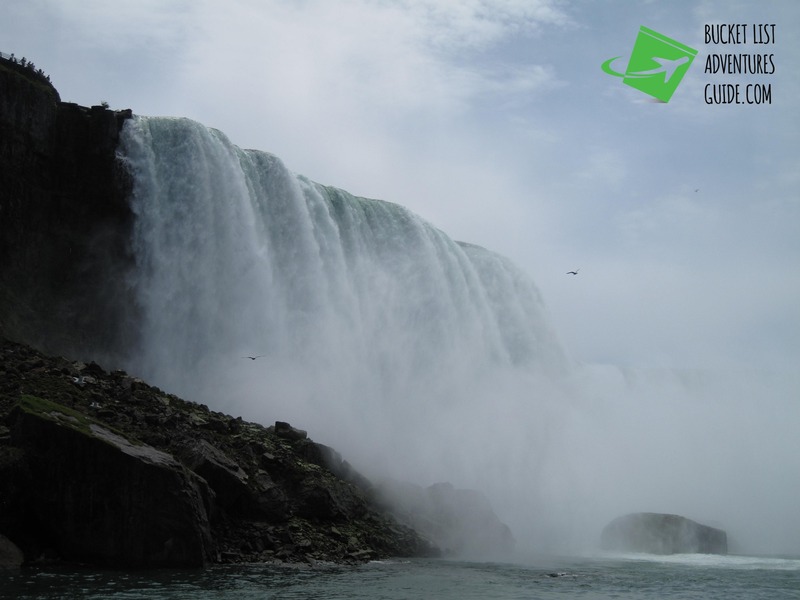 No list of American sites would be complete without the iconic Niagara Falls. At one time a massively popular honeymoon spot, the falls are now a hot spot for families looking for a glimpse at danger, without a real threat. Take a boat ride down to the crashing water and be ready to get a little wet! 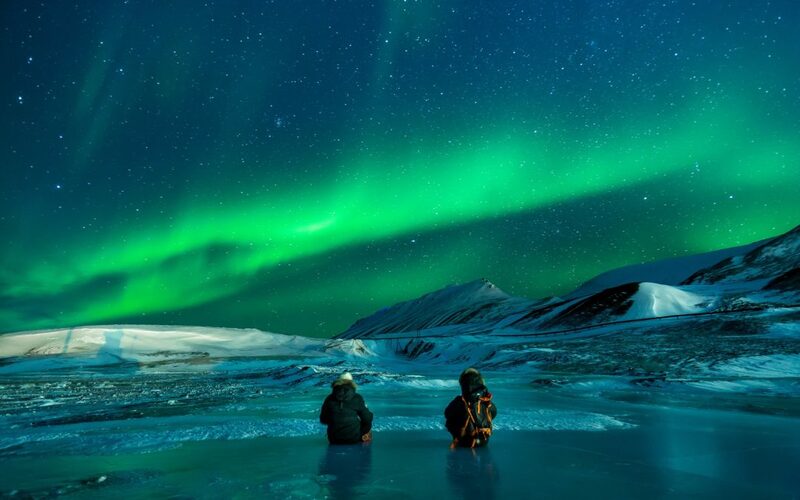 Who says you have to go all the way to Iceland to see the Aurora Borealis? Stay domestic and head to Anchorage or Fairbanks to get a front-row seat to the best light show in nature. Glowing shades of green and yellow throughout the sky, one cannot help but feel part of a different world when gazing at the bright dancing illumination. More like a scene plucked directly from Mars, the landscape of the Badlands is nothing short of surreal. Tan and red striped peaks strike up through the ground to create a maze of mountains. Once used as Native American hunting grounds, the land is now a National Park open to the public. When you picture the deep south, the iced-tea in the rocking chair on the porch deep south, you’re most likely picturing Savannah. With Spanish moss dripping from the trees like blankets and brightly blooming flowers, Georgia’s oldest city is now a bit modernized, but still sports the beauty of a less industrial age. We did a full article on Savannah HERE. A small stream cuts through moss-covered stone walls, carving its path almost gently. With a small waterfall and bright green ferns, the gorge looks like something out of a fairy tale. The serene landscape lends itself to a quiet nature walk on a warm summer day, when the water is the right temperature to walk through.You will need to make sure you bring your walking sticks on this adventure, the hike is a little tricky and is an intermediate skilled level. 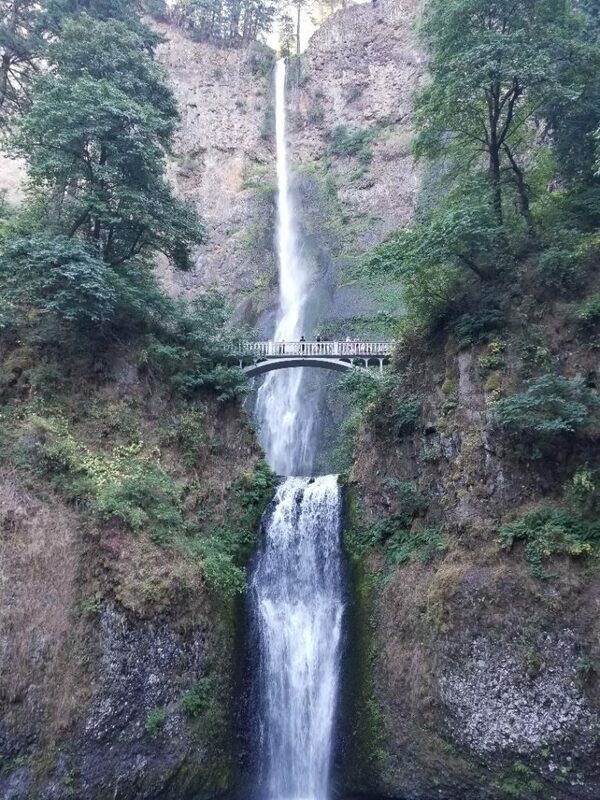 There are also many other falls around this area, check out Bridal Veil Falls, and a favorite, Multnomah Falls. These multistory, mud-and-straw adobes have sheltered Tiwa-speaking Native Americans for nearly 1,000 years, making them both a UNESCO World Heritage Site and the largest collection of multistory pueblo dwellings in the U.S. As though frozen in time, the Taos Pueblo today appears much as it did when the first Spanish explorers arrived in New Mexico in 1540, and inside, the traditional Native American way of life endures. If you’re the type of person who keeps a travel bucket list, you probably have destinations all over the world that you’d like to visit. But there are also plenty of amazing vacation destinations in the US, whether you’re looking to lounge by the beach, explore a new city, or take on the great outdoors.